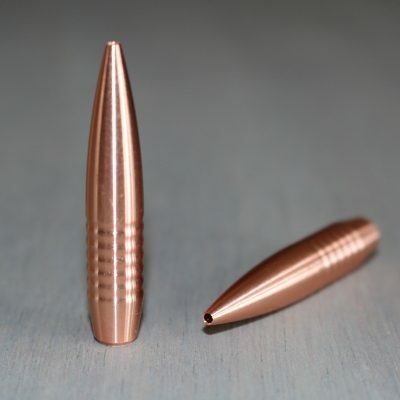 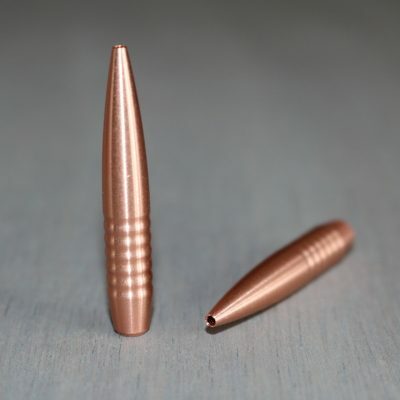 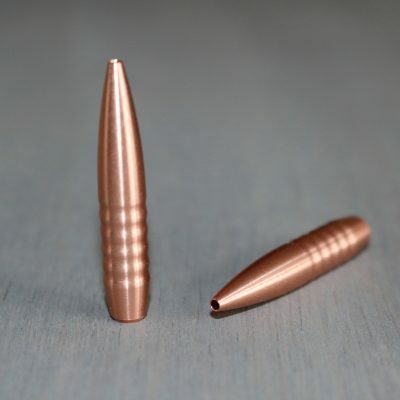 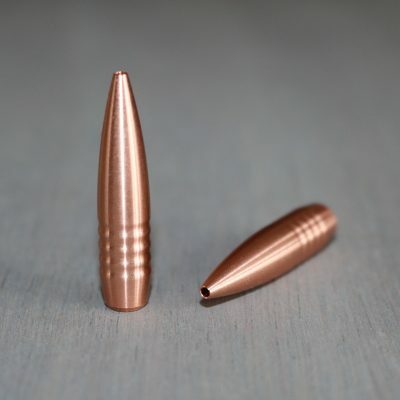 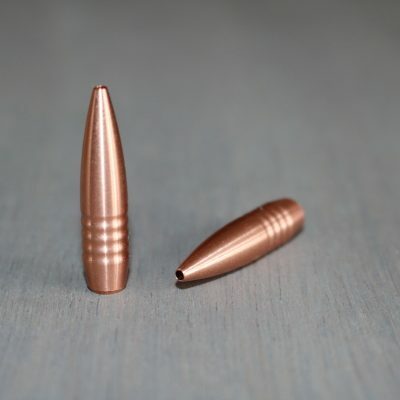 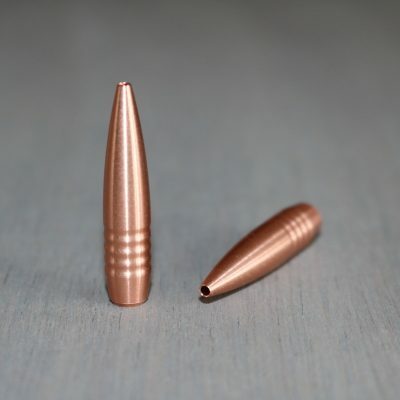 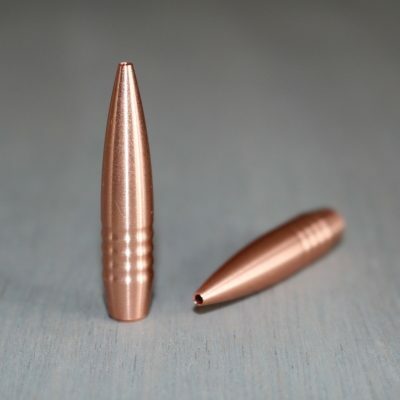 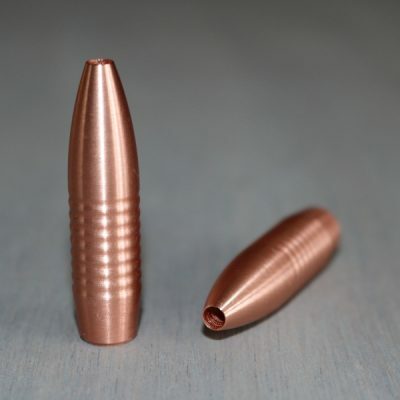 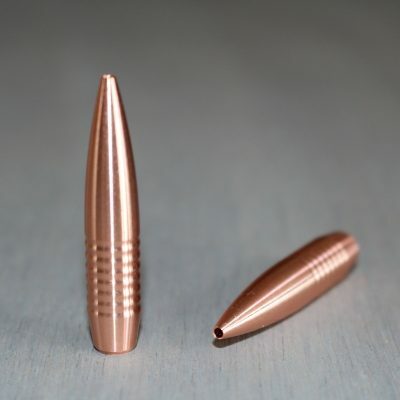 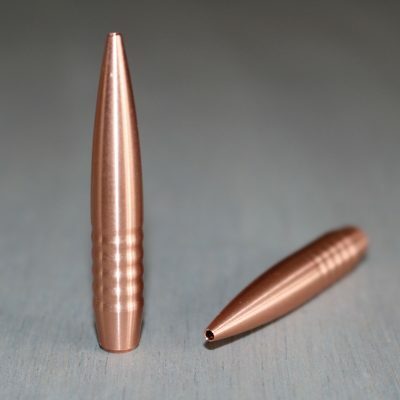 This is a long heavy for caliber bullet that will need a 1-7″ twist barrel to fully stabilize. 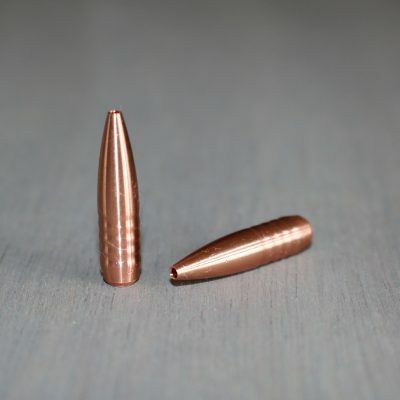 For those who have custom barreled 22 cal rifles, this bullet will be a great normal range to extended range medium game hunting bullet. 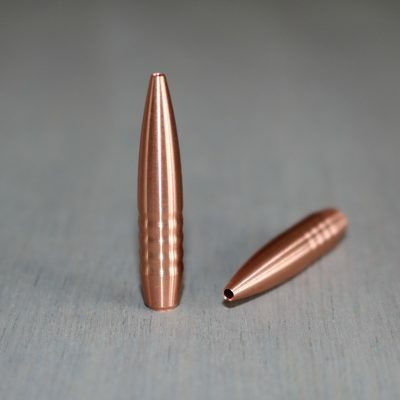 Like all the other Hammer Bullets, weight retention will always be consistent regardless of impact vel down to our advertised minimum of 1800fps.